Christmas is a special time and GVMH’s Oncology Staff made Christmas special for a young couple in their forties who are literally, fighting for their lives. Battling cancer is tough and it’s a fight taken on by the entire family when one family member is diagnosed. In the case of the couple that our Oncology staff surprised, both husband and wife are battling their own cancer diagnosis while supporting and nurturing the other. The husband had been receiving services for more than a year and is fortunately now in remission. Tragically, his wife was recently diagnosed with cancer and her diagnosis is more severe and the outcome uncertain. Our caring and compassionate Oncology Staff took it upon themselves to arrange for a limousine to take the young couple, and their family, to the plaza to see the lights and enjoy dinner. During a December appointment Oncology Staff surprised the wife with a gift certificate for the dinner and limousine ride. As you can imagine the young woman was moved to tears as were our staff. We’re blessed, our community is blessed and our patients are blessed that we have such caring and compassionate staff. Our Oncology Staff took it upon themselves to spread Christmas cheer to a young couple who were having a hard time finding a reason to smile. GVMH’s Oncology Staff helped to create a memory for a couple who have entrusted them with their care and they created a memory for themselves by extending that care beyond the walls of our facility. 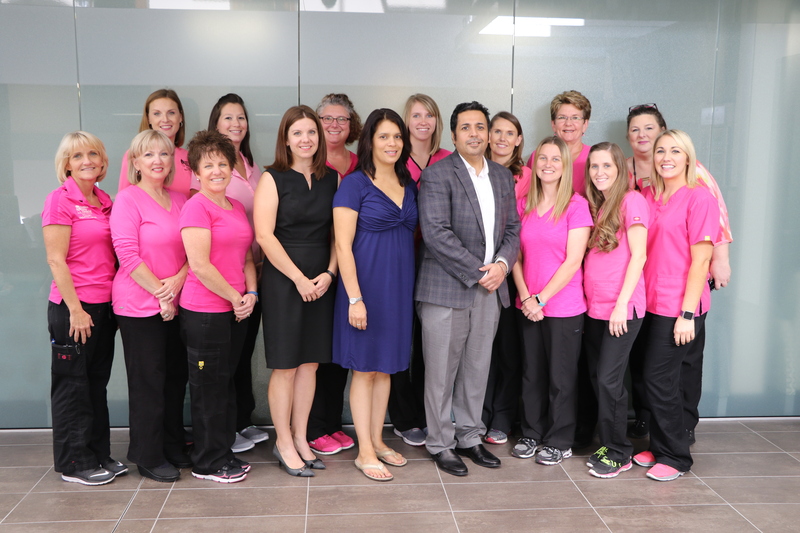 Wonderful staff with Dr.Singh and nurse prac. Sandra Cox.. I appreciate this team, they’ve been professional and kind throughout my treatments and tests.